Wellington, FL - February 17, 2011 - The future of the sport of show jumping is showcased every week at the FTI Winter Equestrian Festival, with the best young horses in the country competing in the Adequan Young Jumper Championship classes. In today's $1,500 Adequan 7/8 Year Old Young Jumper Power and Speed class, Laura Chapot of Neshanic Station, NJ, rode her and Barbara Rochford's Elizabeth R to victory. There were 22 entries in today's class, and the power and speed course was designed by Steve Stephens of Palmetto, FL. A large majority of the class were clear in the power phase to advance to the speed phase, and 12 of those were clear in the speed phase. 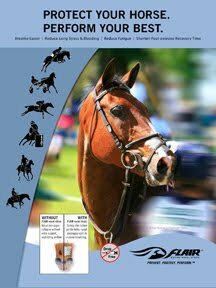 The fastest were Chapot and Elizabeth R, a seven-year-old Dutch Warmblood mare by Royal Kaliber and out of a Thoroughbred mare. Elizabeth R was bred by Rochford, and is a half-sister to Chapot's other top young mount, Zealous. Chapot pointed out that this is the mare's first year competing in Florida. "She's very scopey and careful. 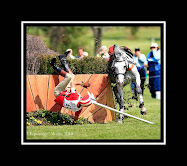 She's a very inexperienced horse and just lacking in mileage," she explained. "This is her first year in Florida, but she's very brave. I've been super happy with the way she has come along since she got here. She's figuring things out quickly for the amount of experience she's had. She's only been to a few away horse shows (before this). She enjoys the sport I think, and the game. She's starting behind the rest of the pack, but she'll catch up fast." Elizabeth R has been knocking on the door all season, and Chapot was happy she got her win today. "She's been close in a number of classes, but it was nice to win this one today," Chapot agreed. "She's not a really quick mover, but she has a huge stride. Oftentimes she can leave strides out where others put in the regular number. That's how she can gain her speed." Chapot believes that the Adequan Young Jumper divisions are very beneficial for her young horses. "I think it's a great experience for them down here in Florida because they have the opportunity to show at the same place week after week. It enables them to really learn from their mistakes, come back next week and grow, and really move forward. If we went to different venues every week, it would be like starting over all the time. (Showing here is a) great learning tool for them, and they can really advance a huge amount down here," she said. 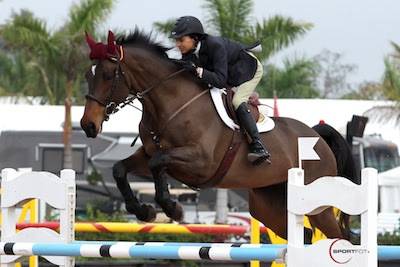 The sixth week of the FTI Winter Equestrian Festival will continue tomorrow with the $31,000 WEF Challenge Cup Round 6 at 2 p.m. on the grass at The Stadium.